About Us – Kupcakes & Co.
My wonderful and loving mom instilled in me the passion I have for baking. When I was a little girl, I remember her teaching me how to make homemade chocolate chip cookies and yellow cakes with chocolate icing. Our house always smelled of fresh baked desserts. She used to let me experiment with baking and always encouraged my creativity in the kitchen. Of course, she, my dad, and my brother would always have to sample my creations. With the exception of “toys” (a combination of eggs, chopped bread and milk–a recipe I learned at Girl Scout Camp) I think my family enjoyed my baking adventures. Now that I have a family of my own, I carry on the traditions of my passion for baking with them. When my twin daughters, Amanda and Allison, were very small, they began helping me in the kitchen. They would make treats for their teachers, friends, family, and neighbors. As they got older, they each shared their own unique talents in the kitchen. Amanda really enjoys studying dessert recipes creating unique flavor combinations. Allison loves taste testing (especially when there is chocolate involved) and helping to create the perfect packaging for our sweet indulgences. My husband Bill is also a true volunteer taste tester and thoroughly enjoys our dessert creations. He now works with me full-time and is an amazing asset—from website designs to daily “Mr. Fixit”, to working to grow our second location in Clarksville, Maryland. Together we are a great team! In October 2007, my daughter Amanda underwent spinal fusion surgery. It was a major surgery that left her with 2 twenty-inch rods and 18 screws in her back. Her recovery was long and painful. A friend that had had the same surgery a year prior told Amanda to keep herself occupied during her recovery by watching the Food Network. It would help keep her mind off of the pain, and encourage her to want to eat at a time when food was not appealing to her. Well, that was when Amanda became a “Foodie” and when Amanda began her love for baking. Watching Ace of Cakes around the clock encouraged her to bake her very first homemade cake with fondant and butter cream icing. It turned out perfect! When deciding what kind of small business we wanted to start, it was apparent from family and friends that we had a “gift”… a gift of baking homemade treats that made many people smile. With my true passion of baking, with Amanda’s desire to bake cakes, Allison’s creativity to make everything pretty and Bill’s endless patience with all of us, Kupcakes & Co. was born. Thanks go out to all of our family members and special friends for their endless love and support… and for helping to eat all of our tasty treats! Baking wasn’t the only thing my mom instilled in me. She has always shared a passion to “Pay It Forward.” At Kupcakes & Co., that is exactly what we try to do every day. We are passionate about giving back and helping others in need. We donate our cupcakes weekly to local food pantries and homeless shelters in the area. We feel that it is important to support our local community, and by paying it forward to these shelters, we hopefully are able to put a smile on someone’s face. You can help us Pay It Forward too! We are currently raising $15,000 to help support the Pediatric Gym at the Howard County General Hospital! Just click the donate button below! Are you a member of the media or looking for more information about Kupcakes & Co. for an upcoming story? Just send us a message from our Contact Page or give us a call. All media inquiries should be directed to Michelle Kupiec. Join the Kupcakes & Co. Family! We are now Hiring! 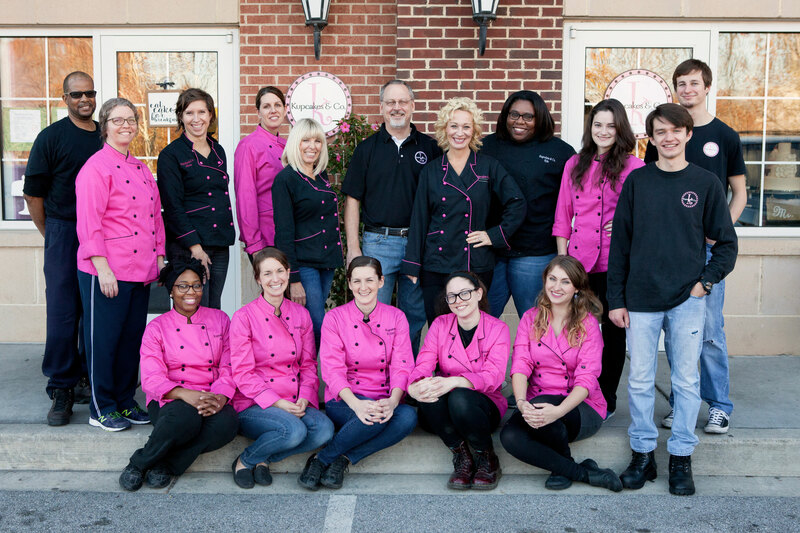 Kupcakes & Co. is seeking a Pastry Chef for our Elkridge bakery. We are looking for a person who is energetic, passionate, and a team player to join our established bakery. This is a production position that would require you to follow detailed recipes, bake and pipe cupcakes daily, interact positively with staff as well as clients, and keep up with a busy baking schedule. This is a full-time position (6:30am-2:30pm Monday-Friday). Pay is commensurate with experience.